Tecnal’s customer service department performs curative and periodic maintenance operations on our customers’ sites. It also implements equipment upgrades using new concepts validated by our engineering design departments. Automation: PLC, network, variator, drive system, etc. Mechanical: machine-welded motorized assembly, etc. Process: exchanger, pump, mixer, cream separator, valve, piping, etc. The department can also perform an instrumentation inspection on the temperature, pressure, resistivity, and flow rate sensors. All of these inspections are Cofrac-referenced and inspection certificates are issued. 4 sedentary technicians assisted by 1 technical assistant and 1 automation technician who receive requests from our customers and draft offers. The team then takes the customers’ orders and follows up these projects. 3 roving technicians who perform maintenance operations on all of our equipment. They have the knowledge they need to work without supervision. They have vehicles with all the equipment they need to do their work properly. 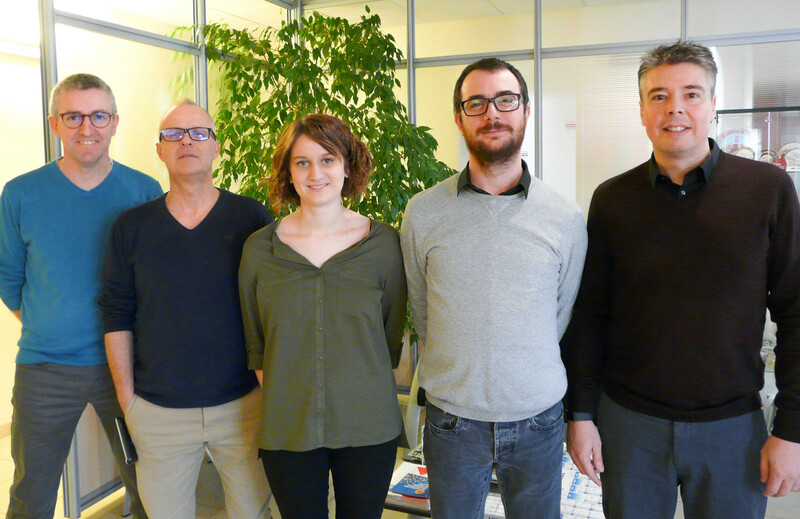 Ronan LAMOUR, Eric GIRAULT, Estelle COUTINEAU, David GAUTREAU and Sébastien CROIZIT.